It occurred to me while sipping my morning cup of coffee that Trump may not be aware that it's possible to go over, or under a wall. If you happened to see Trump's visit to the border recently you may have noticed a female border patrol officer showing Trump videos of tunnels that had recently been discovered under a nearby border wall. Trump just sat there, almost in a catatonic state and stared. There was no sign that he even saw what was she was showing him. It was one of those moments when your realized he was living in an alternate universe and that the border patrol agent was wasting her time. Since that photo op, two tunnels have been discovered. One of them allowed nearly 400 immigrants to get to the other side - where they patiently waited for border patrol agents to arrive and process them. By the way, there were only three agents in that 30-mile stretch. It's obvious we need more agents, not a 13th century wall that didn't stop the Mongols from invading China. 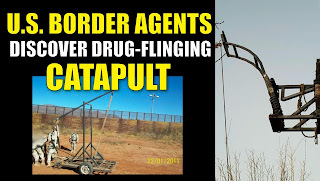 Another very effective way around a wall is the use of catapults. Check this video out and this one. 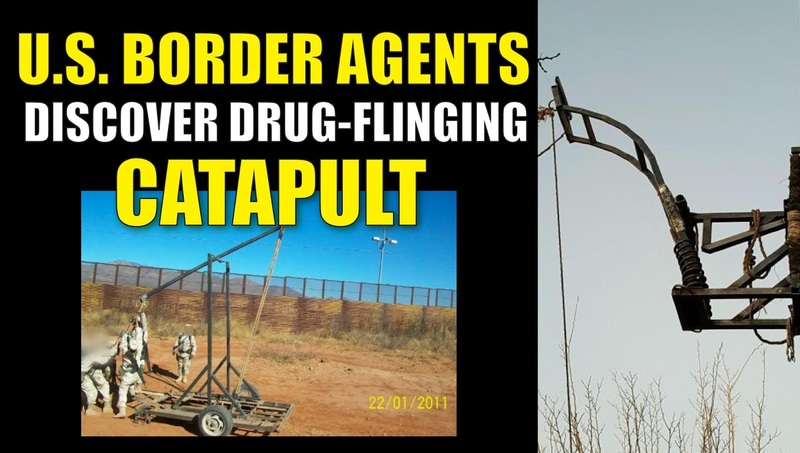 It's pretty easy to get drugs over a wall. I don't care how high it is. Just the fact that a wall can be rendered useless by two basic methods - over and under - should make any sane person pause when Trump claims we need a wall.